If you’re about to take on podcasting, video creation, or streaming: you need to get serious about audio. But there’s a lot more that goes into making mellifluous vocals than you might think. You probably need an audio interface. For many it’s a hassle that simply pushes them to throw money at the situation. However, you can save money and a lot of time with just a little bit of understanding. The Scarlett 2i2 Interface is the best for most people. Microphones—especially good ones—will most often need a way to translate their analog signals to digital ones for recording. Because of this, they will use interconnects that your computer probably isn’t built to handle. 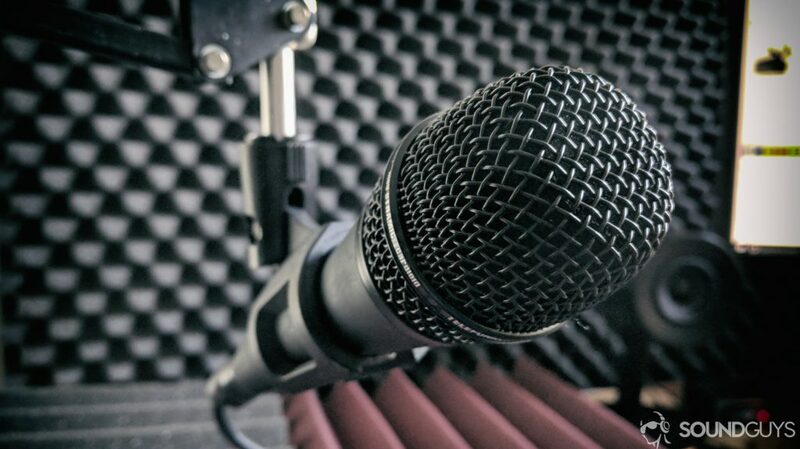 Usually, pro mics will use what’s called an XLR connection—which your computer doesn’t have. So, how do you record at home or in the studio? The way most professional microphones are used with a computer is via a unit called an interface. Interfaces provide the bridge between your microphone and computer by digitizing the signal into something your computer can understand, and then edit and save your work. What type of interface do I need? If you can answer the following questions, it will dramatically limit your search to a few models. Does the microphone you want to use have an XLR output? How many microphones are you going to be using? Do you need more power than a USB port can provide? Do you need your setup to be more or less portable? The first question will dictate how many XLR inputs you need on your unit. The third will tell you if you need to find a model with supplemental power (unless you want to sink money into a Cloudlifter). The final question will tell you if you’re looking for a USB interface, or a more dedicated rack-based setup. If you already have a microphone, look up the output impedance of the unit. If the number is low like it is with the Shure SM58 (150Ω), you probably can get away with USB power only for one channel. If the number is high like the Telefunken M80 (350Ω), you’re going to want more power. USB ports really don’t carry much current, so if you want more than one microphone (or use an especially power-hungry model): you’re going to want to get an interface that plugs into the wall. The type of microphone you want to use matters a lot: you may not need an interface at all. Some microphones need something called “phantom power” to work. For example, many condenser microphones need this in order to be used at all. If this is the case, you need an interface that offers it—easy right? Just look in the product description for “phantom power” or “48V” and you should be good. If your microphone is still too quiet when you’ve cranked the gain to eleven, you either need a new interface, or you can use something called a Cloudlifter. Dynamic microphones need a lot of juice to run properly, and USB interfaces often aren’t up to the task. However, you can still salvage them. If your interface (like the venerable Scarlett 2i2) has a phantom power option, a Cloudlifter will convert that power into extra gain, allowing you to boost the loudness of your recordings by about 25dB. Do I need an audio interface at all? If you have a USB microphone, you do not need an interface. You only need an interface if your microphone demands it. The landscape of USB mics has been exploding, and there are a few out there that will get you where you need to go if you want to stream or do voiceover for YouTube. If you’re not releasing music or doing something that absolutely requires the utmost precision, a USB mic should be more than good enough if you get a good one. If that’s the case, you can save yourself the money you’d normally use on an interface and just go straight for your mic. In order to use the Blue Ember, you need a dedicated XLR cable, not an instrument cable with an adapter. In this case, you probably don’t need an audio interface. You probably didn’t know this, but several popular channels use the Blue Yeti for narration, and other models like the HyperX Quadcast are perfectly serviceable for podcasts. We know, because we’ve used it for that purpose before.